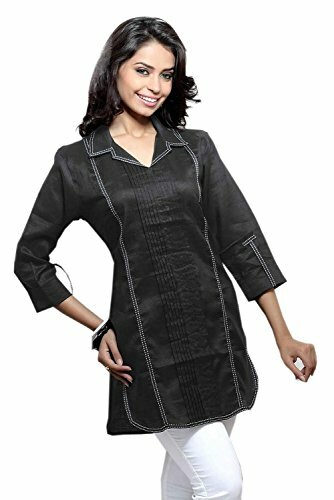 Beautifully Embroideredblack Sheer Collar Ladies Tunic Shirt (XS) by Jayayamala at Cheap Work Clothes. Hurry! Limited time offer. Offer valid only while supplies last.